Soon sadly the Summer days will be drawing to a close and the colder Autumn snap will in full force. But I will let you into my secret in how I’m gonna stay a happy cheerful camper throughout the colder days. Mexican Hot Chocolate. A pinch of warming cinnamon and a hint of fiery chilli paired with the dark Mexican chocolate is the recipe for preventing me from going into hibernation this Winter. Also takes less than 5 minutes to make so have the ingredients on hand when you need a boost. 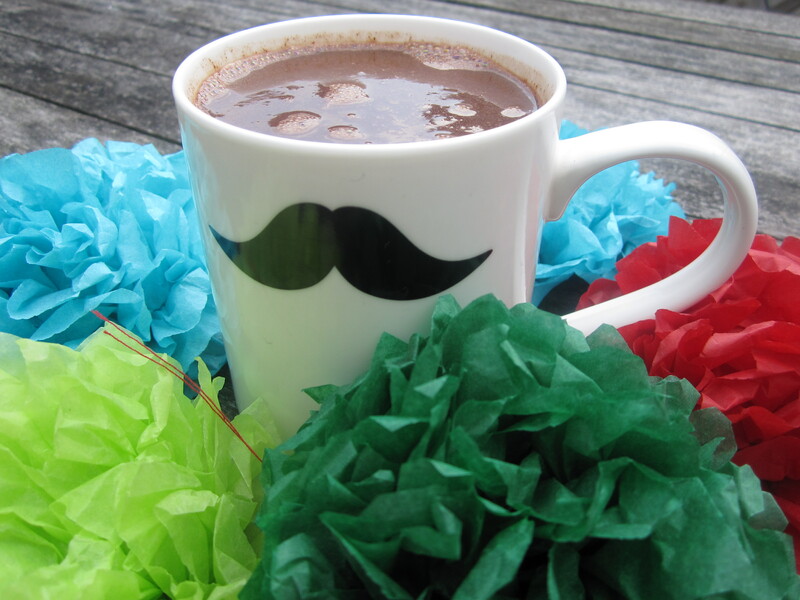 I used Taza’s Mexican chocolate to create this hot chocolate as I some left over from my Cocoa Runner’s parcel but you can use a great dark chocolate to make your own. 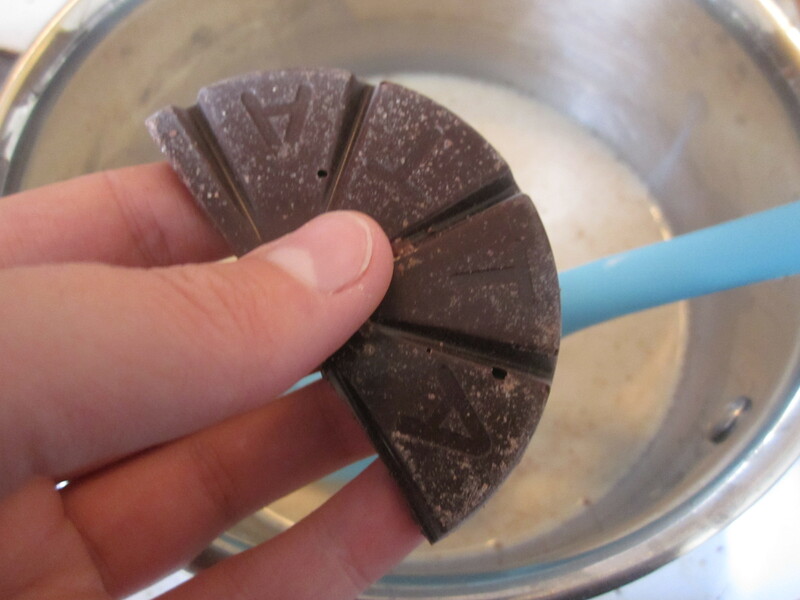 In a small saucepan, place all the ingredients and over gentle, stirring to melt the chocolate and bring to the boil. Pour into your favourite mug and curl up to stave off the cold. Haha, I’m dying over that mug. 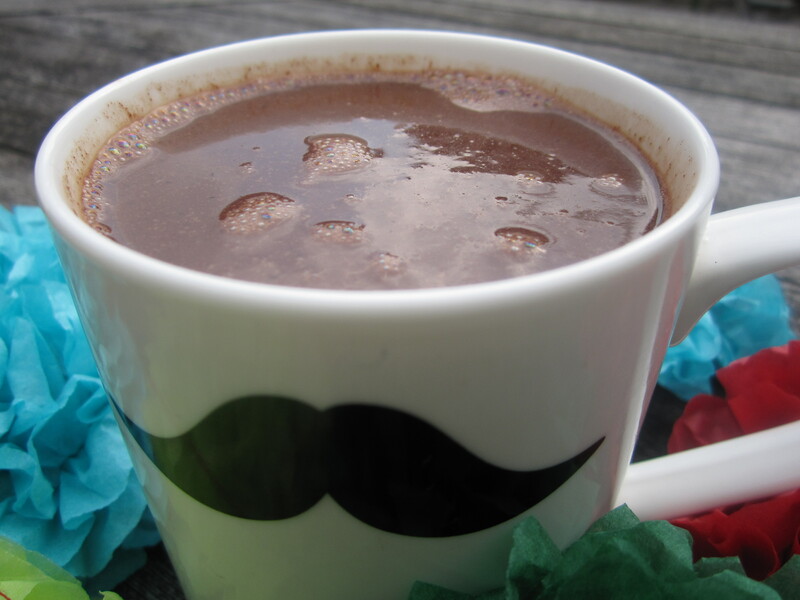 I love hot chocolate and I love Mexican chocolate, so I’m sure the combination of Mexican hot chocolate is fantastic! Haha! Thanks it’s my housemates mug and had to promise she could have the hot chocolate to borrow the mug! Really warming, give it a go!